Psu sure draws a cozy camp for someone who hates the idea of camping in real life, don't you think? 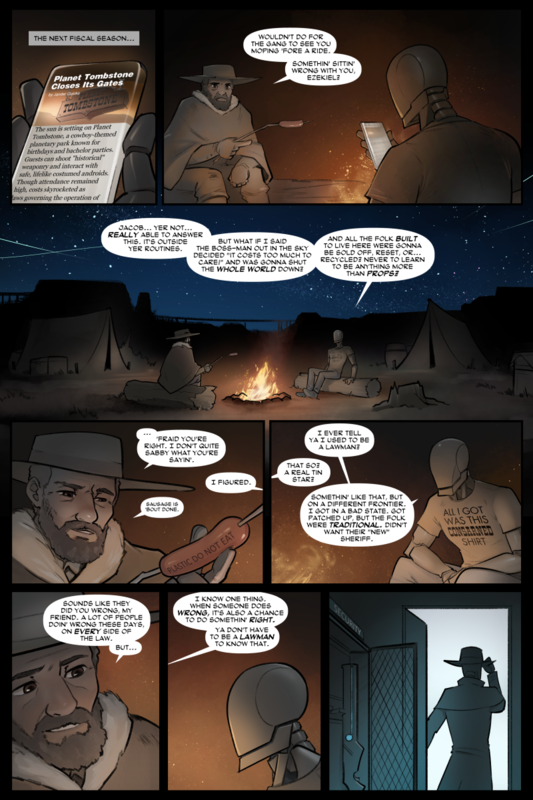 This is a really pretty page; I'm glad Psu & Gun work hard to make this really cool comic. It's also scratching an itch for cowboying while I wait for Red Dead Online to update. The red/blue duality is always an aesthetically pleasing colour combination. Don't forget to eat & sleep.